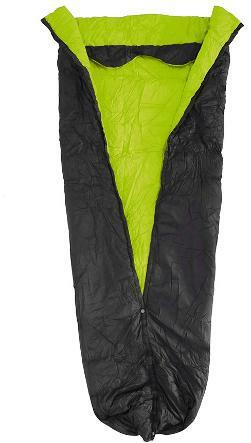 The Revelation APEX replaced the Enlightened Equipment Prodigy. 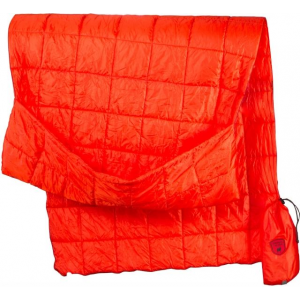 Revelation APEX 20 and 40 degree Fahrenheit quilts. 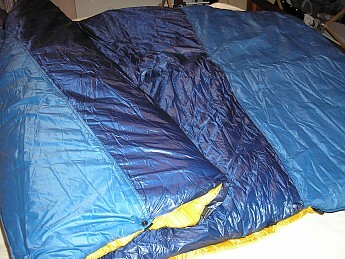 40-degree quilt: Good winter top layer so far. 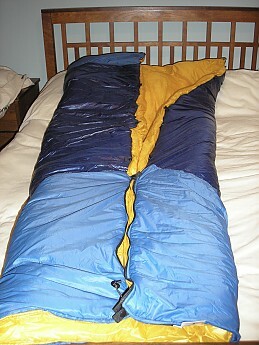 20-degree quilt: F.O.B. (fresh out of box), but looking forward to using it soon. Nice storage and stuff bags are included. 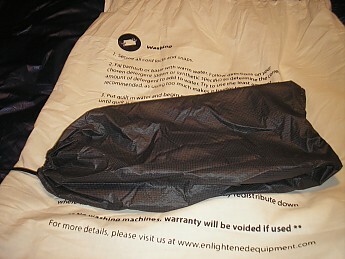 Billowy inside fabric gets caught in zipper and snaps if you are not careful. 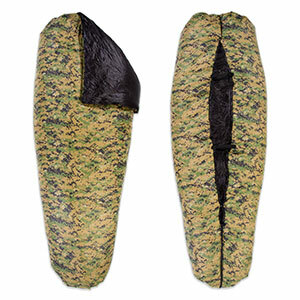 The Revelation APEX is Enlightened Equipment's Revelation quilt that uses CLIMASHIELD APEX synthetic insulation, instead of down. The Revelation APEX was previously branded by EE as the Prodigy. 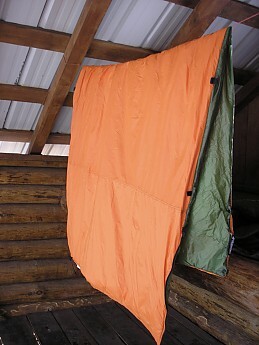 Other Trailspace members have written reviews about both the Revelation down quilt and the Prodigy that I suggest reading in conjunction with this review. Revelation APEX 40 degree Fahrenheit. 20D orange outside fabric across entire surface. 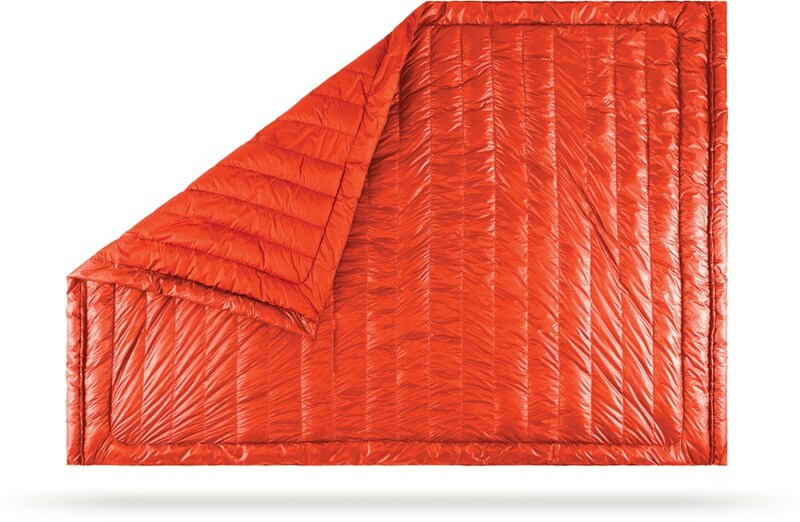 I purchased this quilt during Enlightened Equipment's November pre-holiday discount sales event. Since it is 40 degree rated, my original intention was to wait and use it during the warm season. 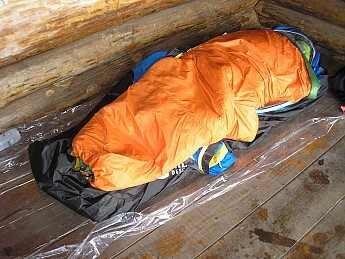 However, for the winter I've been layering it over a 20 degree sleeping bag, and then placing both in a bivy sack. So far so good. One night it only got down to the mid-30s F and I woke up thinking I has having heat stroke—so it definitely adds warmth. 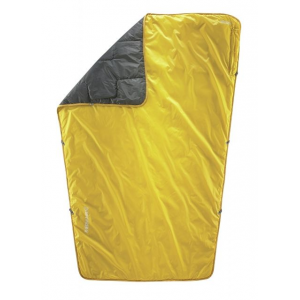 My bivy sack has a non-breathable fabric in the foot box and this quilt has done a good job preventing internal condensation from reaching my sleeping bag. 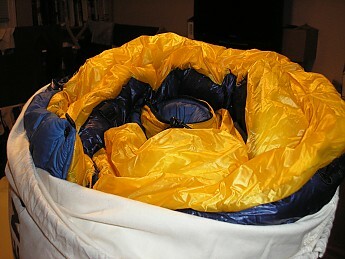 I also like that this quilt has a drawstring in its foot box so I can adjust how much ventilation my feet get. Revelation APEX 20 degree Fahrenheit. 10D navy blue outside fabric across center. 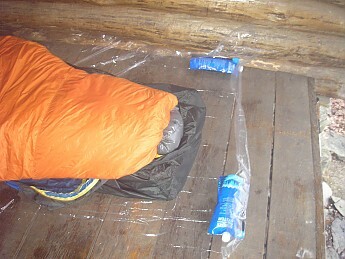 20D light blue "weather resistant stripes" across outside top and bottom. 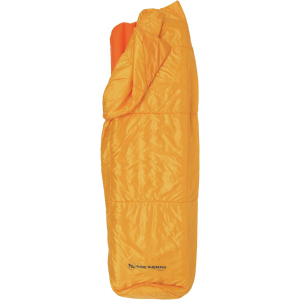 Impressed by my winter outings with my orange 40-degree version, I decided to order a 20-degree version to use instead of my sleeping bag. It's F.O.B. (fresh out of box), but hope to get out with it soon. Will provide updated review in the future. 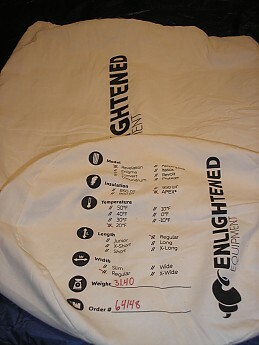 The only downside of each version I've noticed thus far is that the inside fabric is quite billowy and can easily get caught in the zipper and snaps if you are not mindful. It would be nice for the manufacturer to add another stitch line about 1 inch in from each long edge to keep the inside fabric away from the zipper and snaps. Nice review Greg, thanks for sharing! 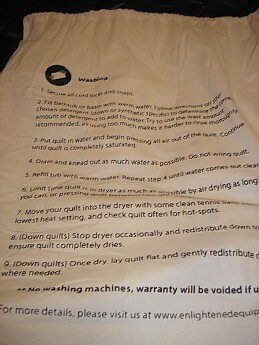 Thanks for the helpful review and pictures of your quilt, Greg! Thanks for taking the time to share your experience with these so far. The Enlightened Equipment Revelation APEX is not available from the stores we monitor.